Clackamas is one of Portland’s most important suburbs. Located just out of town, but with convenient access to downtown Portland on the MAX light rail, it’s a great place to live. It’s also a great place to work, with a Kaiser Permanente hospital, nearby shopping mall, and military base employing thousands of local workers. Since 1961, Cascade Building Services has been working to provide businesses in Clackamas with a variety of commercial cleaning services. Keep reading to learn more about the cleaning services we offer and how we can help you, no matter what type of business you run or building you manage. Some other cleaning companies tell you when they’re available. At Cascade Building Services, we make ourselves available to you. 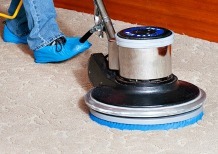 We offer flexible cleaning contracts that meet your needs. We’re available to work any time of day or night, on any day of the year. We’re committed to providing great commercial cleaning services without interrupting your business or inconveniencing your employees, customers, clients, and patients. We work with you to create a janitorial services program that meets your needs. And if you’re not sure, we’ll figure it out for you– and figure out how often you’ll need our cleaning services. We clean, sweep, mop, take out the trash, and much more! By using a quick-drying, biodegradable carpet cleaner we make sure you won’t be bothered by harsh smells or wet carpets. A member of our customer service team will visit with you each month to make sure you’re completely satisfied with our work. We’ll clean and protect your floors using high-quality, slip-resistant products approved by Underwriter Laboratories. We can make your floors look like new again! And help them stay that way! Recycling can seem complicated, but it doesn’t have to be. Our commercial recycling team can help you set up and maintain a recycling program that works for you. And we’ll handle all of your paper recycling, too! Our window cleaners are experts at removing layers of built-up dirt and grime left. They use a biodegradable cleaning solution that leaves behind only crystal clear glass with no streaks or chemical residues. Do you manage apartment complexes or a condo building in the Clackamas area? If so, outsource your window cleaning, janitorial work, and other property management and building maintenance work to us! Keep reading about all of our commercial cleaning services. We specialize in cleaning shopping malls, office buildings, schools, hospitals, condo buildings, and many other types of buildings and businesses in and around the Clackamas area. We pride ourselves on our flexibility and no matter what type of business you run, building you work in, or cleaning services you need, we’ll be able to create a cleaning program just for you. To help keep your building safe and secure, whenever they’re working, our team members wear professional uniforms and identification. And to protect the environment, we’re committed to using eco-friendly and biodegradable cleaning products whenever we can. We’ve been offering commercial cleaning services in Clackamas since 1961– that’s over 50 years! We’re committed to providing great customer service and we believe our job isn’t done until you’re 100% satisfied with our work. Our team loves their work and it shows. We invest in our employees, offering ongoing training and continuing education to help them do great work. Nearly 75% of our team has been working with us for 8 or more years! 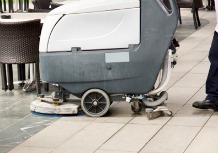 Learn how we can help with all of your commercial cleaning needs. Contact us online or call (503) 691-0776 for a free, no-obligation quote.